Number 1 in air conditioning manufacture. Daikin is the leading innovator and provider of advanced, high-quality air conditioning solutions for residential, commercial, and industrial applications. Daikin is the only air conditioning company in the world that specialises in manufacturing, sales and after sales service. Need a new heating or cooling system? Or do you just need to service and repair your existing unit? As well as sales and installation of Daikin equipment, we can service and repair all types and brands of heating and cooling systems. Simply click the BOOK NOW to get started. W’ell do the rest. 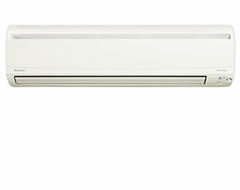 Daikin Split System Air Conditioners are best for: Heating nad Cooling one areo of your home, compact size. Daikin's five year parts and labour warranty applies to split, multi split or ducted heat pumps purchased and installed in homes across Australia or New Zealand. Download the Daikin Split System Air Conditioning brochure. US7 is an abbreviation of its original product name in Japan, Ururu Sarara 7. The English translation of ‘Ururu Sarara’ refers both to the humidification and dehumidification functions that distinguish this split system from every other. Packed with advanced technology that you’d expect from a Daikin, it's Australia’s most energy efficient split system. The Daikin US7 split air conditioning system however, can not only heat or cool one room of a home but is also capable of humidifying, dehumidifying, ventilating, and purifying the indoor air. Built with energy efficient technology, it’s the perfect solution for ideal living conditions all year round. The Daikin US7 is the most energy efficient split system air conditioner in Australia* with a 7-star ‘super efficiency’ rating using all new R32 refrigerant. 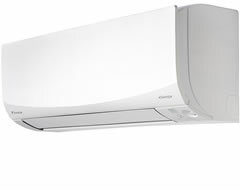 With a remarkable blend of iconic design and engineering excellence, the Daikin Zena is designed to impress. 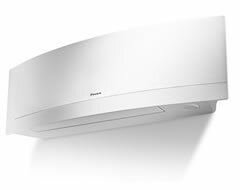 Engineered in Europe, with enabled Wi-Fi connection, the Daikin Zena is available in a silver finish or pure matte white finish. The L-series features an inverter DC Motor which shortens system start-up time, enabling desired room temperature to be reached quicker and constantly maintained, minimising temperature fluctuations and providing greater efficiency. Nexura is a floor standing air conditioner engineered in Europe with a modern design that blends in seamlessly with your home’s decor. It is quiet, discrete and features state-of-the-art heating technology. 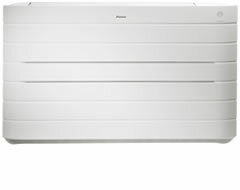 Through the unique front radiant heat panel, Nexura is able to deliver that unique feeling of comfort similar to a traditional warm radiator. 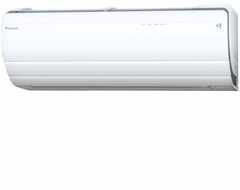 A Daikin Multi-Split Air Conditioner can heat or cool 2-5 rooms using only one outdoor unit, and allows individual control of the air conditioning in each room. This not only optimises comfort but saves on running costs by only heating or cooling rooms as required. Daikin Multi-Split Air Conditioners are best for: Heating nad Cooling 2-5 separate rooms, houses with limited space for ducted air conditioning, ability to control room temperatures individually. 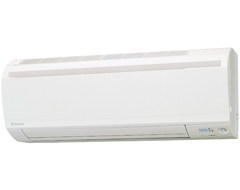 A Daikin Multi-Split air conditioning system gives you the ability to control indoor units individually. This means the ideal temperature can be maintained while ensuring running cost are kept low as only rooms requiring air conditioning are switched on. In the interests of increasing the overall air conditioner efficiency, all ducted air conditioners with a cooling capacity of up to 65kW sold in Australia must now comply with the Minimum Energy Performance Standards (MEPS), as set out in Australian Standard 3823.2:2013. All Daikin air conditioners exceed MEPS requirements, in line with Daikin's commitment to providing energy efficient, quiet, simple to use and reliable air conditioning solutions. Ducted Air Conditioners are best for: Whole home heating and cooling, visually less intrusive.